One of the most popular new security products is the ADT Pulse Z-wave deadbolt. It seems when customers get one for their front door they end up wanting one for their back door too. It is becoming one of our customer's favorite upgrades to their security system and makes securing your doors very convenient. Since the front door is the most common entry point of burglaries, it is especially important to provide additional security measures at this entry point. Burglars are kicking in the front door, prying them open with crowbars, using the key you hid under the mat, flower pot or in hid-a-key fake rock and unfortunately at times just entering an unlocked front door. 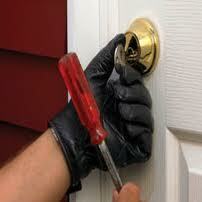 Check out this video on "lock bumping"... something burglars are doing everyday. Over 50% of break-ins start through the front door so it is obvious that it is very important to get the right lock, arm the front door entry with a security contact and you may want to potentially upgrade to ADT Pulse outdoor camera. Let's take a look at the ADT Pulse Z-wave deadbolt lock by Kwikset that has BumpGuard Technology and a lot of other important security features and benefits. Kwikset's seamless integration with ADT Pulse provides more convenience aand piece of mind while you are away from your home. ADT Pulse allows you to fully engage with what matters most-your world at home, on your terms. From almost anywhere, this innovative solution can give you the power to control who enters your home. ADT Pulse services offer three convenient ways to help you stay connected with your home and family through: Your web-enabled cell phone or mobile device, your own personalized ADT Pulse web page portal or with a home control interactive touch screen. One of the things that make this such a great deadbolt is the keyless unlock and locking feature of this motorized door lock. 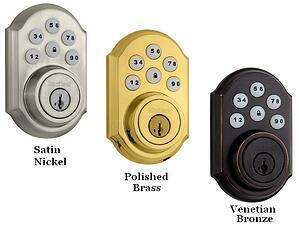 You can lock the front door with one touch of the lock button or you unlock it with a user code number. No more locking yourself out of the house. Program multiple user codes and track who is unlocking the door. It just so simple and easy to use. You will also be able to have notifications sent via text or email whenever your door is locked or unlocked. You can program the door to lock at a certain time or set the door to auto lock. Auto lock re-locks the deadbolt within about a minute of it being unlocked. This is an incredible safety feature for a busy household when you want the door locked throughout the entire day. You also can lock or unlock your door with ADT Pulse using your smartphone or mobile device with an Internet connection.